What TOTP authenticator app do you recommend? I've used the LastPass authenticator for a while (since I also used the LastPass password manager and it integrated nicely) but I recently switched to Bitwarden as I'm looking to get away from LastPass. I've been putting off moving to a different authenticator for a while and now that I'm wanting to switch I'm not really sure to which one. My only requirement is that it needs to be available on iOS. So what do you recommend? Bitwarden also supports TOTP. I'm using Authy and I've been pretty happy with it so far. It also does (apparently encrypted and secure) backups of your keys. I like that feature since you don't have to worry when you upgrade your phone or lose it. Just remember the backup password. Thanks, I'll check out Authy. I use the Android version of FreeOTP, which is FOSS and has an iOS version too. I keep my passwords safe with Password Store, it is a CLI program in essence but there are many GUI frontends. I use this one on Android, on desktop I have a little front-end I wrote in Emacs that I use, and a little script that uses dmenu. But actual desktop apps are available, here is a list of GUI clients for desktop and mobile, including iOS. Password store uses git and GnuPG behind the curtains (tho the curtains are easy to bypass if there is a need). I used to sync with Syncthing, but I don't trust it with data that is not ephemeral anymore. All of the above is completely FOSS software, MPL, GPL or Apache-licensed. Check out AndOTP. It's a more secure and maintained fork of freeotp. My only requirement is that it needs to be available on iOS. It is. I use and enjoy andOTP as well, but sadly it's not available in this case. Oh, sorry. Didn't see the iOS part. Ooh that looks excellent, thanks. I'll definitely check that out! This is my favourite one: OTP Auth by Roland Moers Works great if you have a Mac too, syncs over iCloud in a secure manner. The developer seems great too. Works great if you have a Mac too, syncs over iCloud in a secure manner. The developer seems great too. Just out of curiosity - why are people switching away from LastPass? Are there any security issues with it? I moved away from using LastPass as my password manager for a few reasons. The biggest ones being required to install a binary to get password copying to work and just not being comfortable with using it anymore since there's better alternatives out there now. I've had trouble sometimes with logging in while using a VPN. They require you to enable a country to login from via email and that also became a hassle, while I do like that feature it's a pain sometimes. As for LastPass Authenticator, no particular reason. I guess because they're from the same company the doubts I'm having from the password manager carry over, so I'd like to see what the alternatives are and decide then. I've switched away because it didn't integrate nicely with me. The Linux app wasn't very nice to use and the browser addon kept on bugging me whenever I signed into something if I wanted to add it to LastPass. I also kinda started to distrust it when I was consistently able to access the password for some sites without my Yubikey using the browser addon. Don't know if that is by design or not. Off-topic but how are you liking Bitwarden? My Lastpass subscription is expiring in 3 months so I am actively looking for alternatives. I have been tinkering with KeePass, but I just don't know if I trust myself enough to use it... and Bitwarden seems like a nice middle ground between the two. It's great and cheap! It was super easy when I switched over, just export LastPass as CSV and import in Bitwarden. The integrated tools to check for various things are also really nice. I've had no problems so far, definitely recommend it. LOL, yeah, I have to admit the price is definitely appealing. I don't mind paying a few bucks a month for a good password manager, but getting 5 accounts for $1/mo is really tempting. I have been trying to convince a few other family members to start using password managers as well (esp my sister who had a bunch of accounts compromised recently due to reused password). So being able to offer them all "free" access under my account would certainly make it easier to get them to finally take the plunge... especially since I already do that with a few other things too (e.g. Office 365, Netflix, Amazon Prime, etc.). You both should give 1Password a try. I was an avid KeepassXC user and still recommend it to people who know what they're doing, but 1Password is fantastic and much easier to adopt. It's also easy to sell to companies which then get all their staff a bunch of accounts. And what do you mean with "much easier to adopt"? I guess 1password is the most user-friendly and polished password manager out there. I used it for years, back when it was offline-only, MobileMe sync, Dropbox/iCloud sync and now a subscription model. I really liked it and never ever had a single issue. When I reviewed all my ongoing subscriptions last year I decided to get rid of 1Password and migrate to BitWarden with a self hosted version bitwarden_rs so it went from $5 for the family subscription to zero. 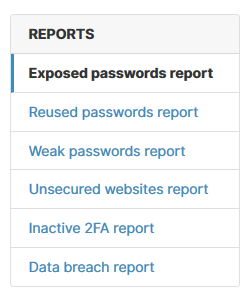 But the 1Password people provide a lot of documentation about their security including white papers. Still, you have to trust them. 1Password is something I've been able to get my mother and tech-illiterate aunt to adopt. KeepassXC is too complicated for them and the risk of losing your backups or not keeping them in sync correctly is too great. I think you've misread what I said. I know Keepass is complicated and not easy to get into, I'm asking why you recommend 1Password over Bitwarden though. From my experience Bitwarden has been super easy to get into and I could see anyone having very little (if any) trouble adopting. As a little aside, privacytools.io even directly mentions 1Password and says you should pick an alternative over it, Bitwarden being the top pick. I think I may have not given Bitwarden enough of a chance. I'll look at it again, thank you. Probably because 1Password isn't open source. I think I may have not given Bitwarden enough of a chance. I'll look at it again, thank you. Probably because 1Password isn't open source.